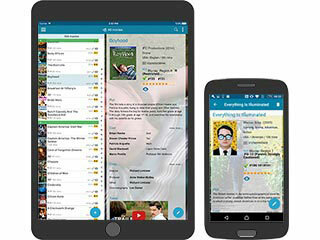 Just search our huge online film database ... ... by entering titles or scanning DVD / Blu-ray barcodes. Thank you very much for the improvement in the boxed set (anthology) department. Up to now I,ve had to enter each film individually myself. Now when I scan it to my database the films all go in automatically. I have over 200 boxed sets (anthologies) from 4 films to 250 films, this new system will allow me more easily put these collections into my database. Excellent system, I love your programs. The thing is that when I started using your database it was far superior to any others I used. It was very complete and stored all my information very satisfactorily. However, you keep improving all the time and it gets better and better. Please, keep up the excellent work. I am nearing 10,000 entries and still have quite a bit to go. In 2004, The New York Times ran an article in their “Circuits” section called “I Don’t Rent. I Own.” The article described how DVD’s by the hundreds filled movie buff’s shelves. At that time, there were 27,000 DVDs to choose from. You see, the logic was simple. The making of a movie can cost millions of dollars, commits the talents of hundreds of individuals, the dedication of thousands of hours of blood, sweat and tears....and you can own it for the price of a cheap dinner. Like the collectors featured in this article, I think about movies a lot. I think about the full movie, with its themes and big messages; I think about individual scenes that haunt your memories in the middle of night; I think about obscure movies from my childhood; and I think about actors – some preserved forever on film. Over the years, my obsession with movies has led me to ask a simple question. What if I could be like one of those collectors? What if, at any time of day or night, I could see this movie. Hold it in my hands, put it on a shelf and always have a piece of something bigger. What if I think of a film and 5 minutes later I could be watching it…because I own it? Although I subscribed to Netflix then, I hated renting movies – a carry over from my hate of library books. I wanted to own the whole movie, always, and forever. In 2004, I dreamt of a world where you could own 27,000 DVDs. On August 20th, 2009, I paid about $25 to a company called Bitz & Pixelz for their cataloging program Collectorz. By this time, I had about 125 movies. Amazon was constantly putting movies on sale – Father’s Day Sale, Summer Sale, etc. Movies like Batman Begins (#45), Blade Runner (#62) and Casablanca (#82) were easily available. Every week, I would get e-mails about “This Week’s Hot New Releases”…. I was hooked. 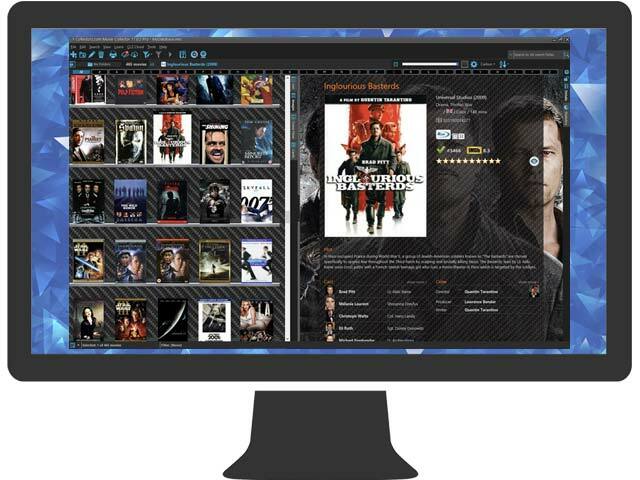 Logging movies into Collectorz became a weekly ritual. I’d think long and hard about which films would take up coveted spots in the collection – Riddick (#100), Hair (#200) and transformers 2 (#500). By the time Captain America came out in 2011, I had hit 1000 movies. I was amazed to find that after I had uploaded (using the barcode) a 5 Movie Selection (Sci-Fi Collection) that all the films included in the selection were listed separately so I could update the audio languages and sub-titles for them (which of course varied) which is of major importance for me. I love the Collectors database and find it an invaluable tool for both cataloguing and collecting information on the movies and TV shows that I own and love.